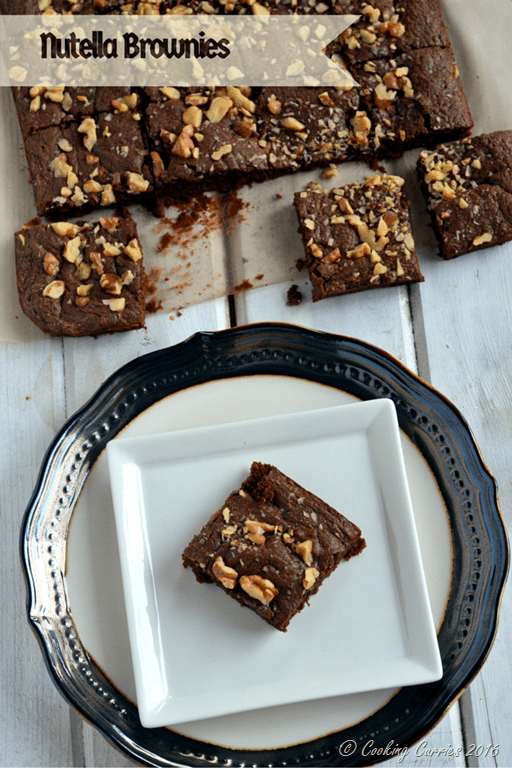 Unbelievably decadent and moist Nutella brownies with just three ingredients, the kind that you will want to make again and again! Its been ages since I baked something like this. Yes, I baked some cookies for the holidays, but that’s not what I am talking about. Something like a cake or a brownie that is a true pure dessert in itself. I used to bake quite a lot a few years ago. I would get cookbooks – baking books from the library and just bake the entire book off. I mean, all the recipes from the book. You get it, right?! Then it just got a little addictive and there wasn’t anyone to feed off this addiction, quite literally. And all that sugar and sweetness and all things nice started showing on the two of us. That is when I decided I need to put an end to this. At least for a few months. But life happened. Those few months became few years and here we are. I did bake on special occasions and such and I baked a different cupcake on the 12th of every month for the first year of V’s life to celebrate his day! But those were different. It was baking with a purpose. But I missed this random baking and feeling all warm and good about it. I was happy that I finally got around to this. V loved this so much and was so fascinated about having made this at home, I think I am gonna bake more now and involve him a lot more in it. 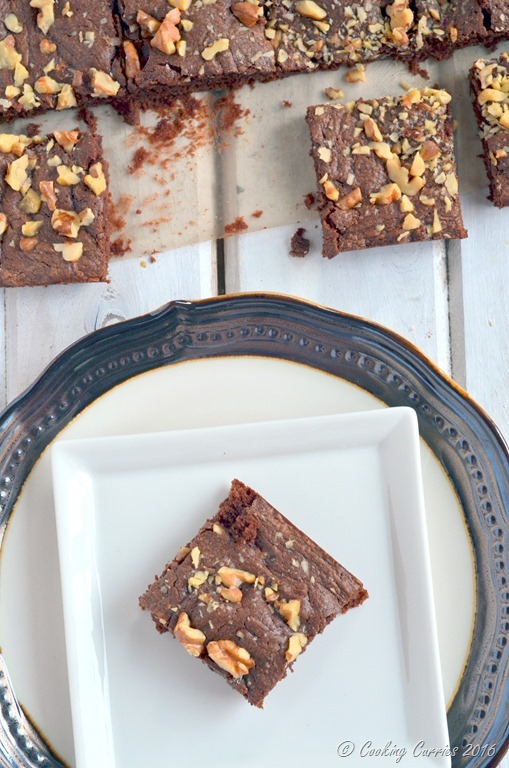 So, this is by far the simplest brownie recipe you can make. And I would say, it will be real hard to mess it up too. If you have 20 mins or so and a jar of nutella, 2 eggs and some flour, you are all set. 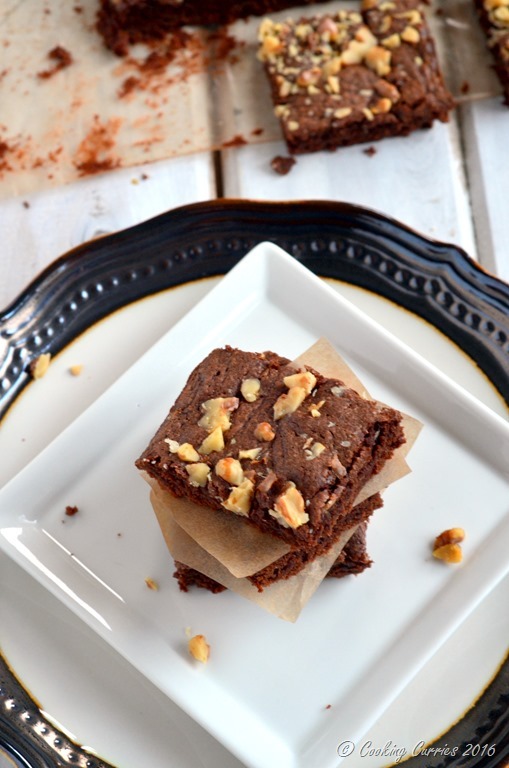 20 mins later, you will be enjoying this delicious brownie! How great is that?! Scroll down to see how to make it! Preheat the oven to 350F. Mix in all the ingredients. Line a 8×8 square baking pan with parchment paper and spray some nonstick cooking spray on it. Pour the mixture in. Top with some chopped walnuts, if you want to (it is completely optional). Bake for 15-20 mins and voila! you are done!! I’ve so been meaning to try these, the look and sound so delicious! Oh my goodness talk about easy! Can’t wait to try these and the fact that they only have 3 ingredients keeps the mess and time down. You are spot on!! I was so happy to get gorgeous dessert done in that less a time! Oooh!! Toffee sounds like a great topping! 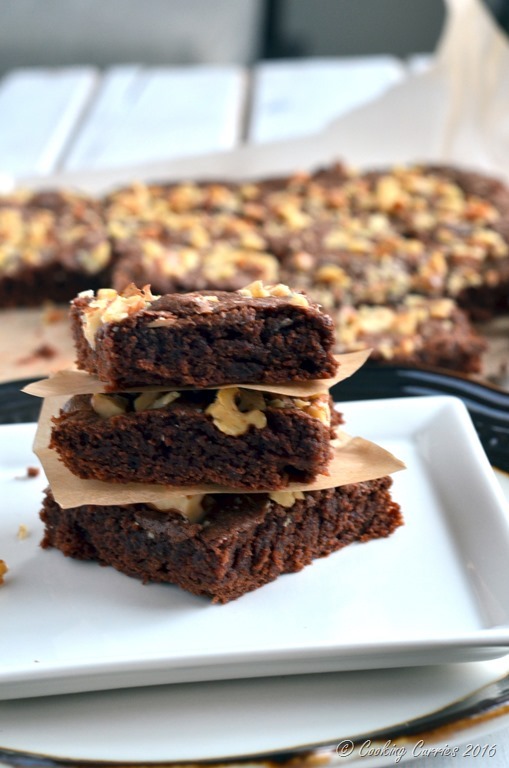 Well these do look delicious…and you can never go wrong with Nutella!! Yep! Can never go wrong with Nutella! OMG! I can’t believe how easy this is. And our Italian household ALWAYS has Nutella — this would be perfect whenever the grandsons come over. Thank you for a fantastic recipe. You are welcome !! ? I’m sure they will love it!! Whatwhatwhatwhat?! 3 ingredients and one is Nutella? Oh wow! I cannot wait to make these! How amazing! Wow, just those three ingredients and you get THOSE brownies? I am gonna have to try these. 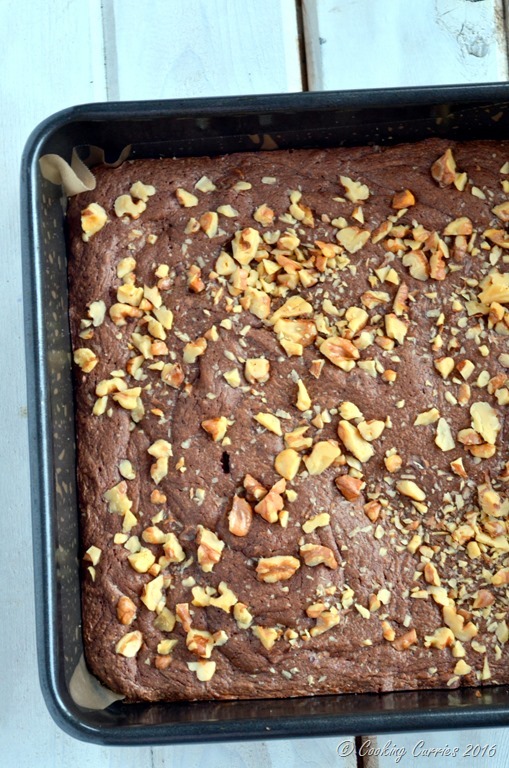 These Nutella brownies would be perfect next to my coffee this morning! I am afraid, I would not be able to stop from finishing a batch! Delicious! this is such an easy & delicious sounds recipe!! <3 nutella.